As Virginia Woolf once said, “One cannot think well, love well, sleep well, if one has not dined well.” Not only is this a wonderful quote from a wonderful writer, but we couldn’t agree more. And what better time to shine a light on all the elements (except sleep, which we’ll cover in another blog) than Valentine’s Day? After all, this annual day is, believe it or not, an official feast day in the Anglican and Lutheran Churches that dates back to the year 269, when a priest called the Valentine of Rome walked the streets. It wasn’t until the year 496, after he was martyred, that he was added to the calendar of saints to become St Valentine – and the day then only became associated with love and all things romance due to the UK’s very own Chaucer in the 14th Century. These days, Valentine’s Day is ALL about love and romance, so in a bid to celebrate the day’s history and embrace the connection between love and food, we’re launching a competition to win dinner for two at the Sanderson Hotel in London. All you need to do to be in with a chance to win is follow John Ross Jr on Instagram and tell us who your loved one is on the Valentine’s Day competition post, which will go live on Thursday at 9am. Of course, there can only be one winner. So for all of those who won’t be dining at the Sanderson, why not make a romantic dinner for two at home? 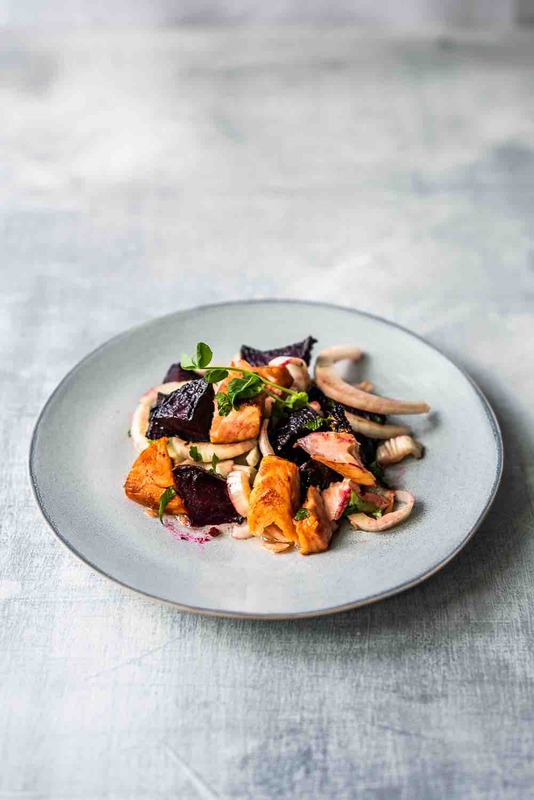 And, if you’re in need of inspiration – and as it’s winter – then why not try our latest smoked salmon recipe, the deliciously light and healthy Roast Beetroot, Fennel and Hot Smoked Salmon Winter Salad. Pre-heat oven grill to 200°c. Top, tail and quarter the beetroot, place on a baking tray, drizzle with olive oil and put in oven for 15/20 minutes until golden. Whilst the beetroot is roasting, shave the fennel and break up the kiln-roasted salmon. Remove the beetroot from the oven and leave to cool to room temperature. Once cooled, toss all the ingredients in a bowl, season and plate up to serve. For more recipes, offers and competitions follow us on Facebook, Instagram and Twitter. In the meantime, good luck with the competition… and Happy Valentine’s Day. Yes, there is such a thing. Well, kind of. 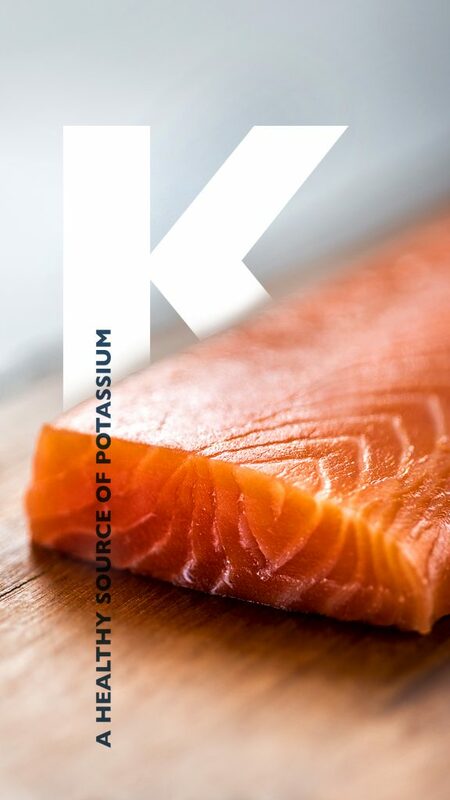 And before you stop reading this on the basis that you’re not interested in the science behind smoked salmon, look at the delicious images we’ve recently prepared. So, now that we (hopefully) have your attention, let’s get down to business. This week is National Obesity Week (14 – 20 January) – an awareness campaign that’s tapping into the nation’s inevitable post-Christmas health kick to raise awareness of the growing issues around obesity. Now, for many people, January is a month when the brakes are applied, the indulgences reigned in and all things nice are given a wide berth in favour of diets and detoxes. As we all know, moderation is key, yet things tend to become a little black and white, all or nothing at the start of a New Year. However, the good news with smoked salmon is that you can have your cake AND eat it. Why? Because it’s one indulgence that you can retain in January – and guilt free, too. On to the science bit, then. Or, rather, Vitamin D. Yes, smoked salmon is packed full of it, with an 85g portion of smoked salmon providing a staggering 97 per cent of your daily intake. Omega-3, to be precise. Oily fish is well known for providing a rich source of this essential fatty acid, which helps you sleep, lowers blood pressure and boosts memory. Selenium is a powerful antioxidant – and one that that helps defend the body from chronic diseases such as heart disease and cancer. The good news is that smoked salmon is loaded with it. 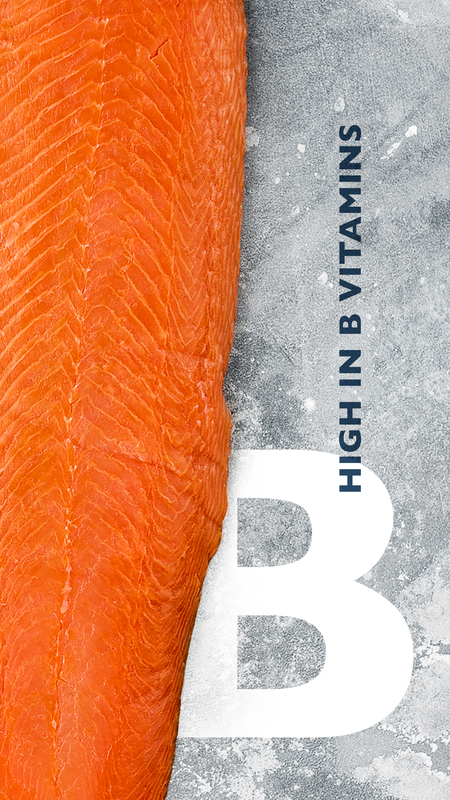 Smoked salmon is jam-packed with B vitamins including B1, B2, B3, B5, B6, B9 and B12. Could smoked salmon B any better? Potassium is a mineral that helps to regulate the heartbeat and blood pressure, as well as help keep your muscles and digestive system in order. It’s also found in abundance in smoked salmon, too. 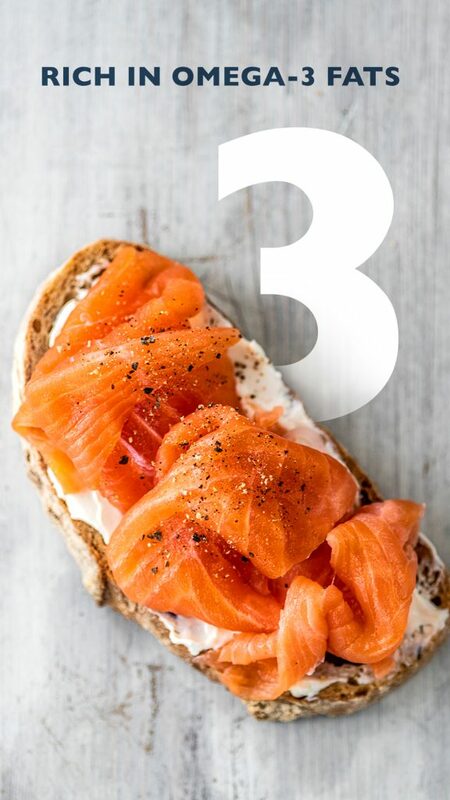 If these top 5 reasons to eat smoked salmon aren’t enough to inspire a healthy-but-tasty January, then visit our serving suggestions section or delve deeper into our blogs to find a selection of delicious – and healthy – smoked salmon recipes. Alternatively, follow us on Facebook, Instagram and Twitter for offers and competitions. There is no longer a day that isn’t reserved for some celebration (our last blog, which was a nod to ‘pomegranate month’, is probably a good example). However, one day that’s really starting to resonate is Black Friday – and why wouldn’t it, when it’s based on bagging bargains. And if you can’t beat them then you may as well join them, which is why we’re offering 25% OFF WHEN YOU BUY SMOKED SALMON PRODUCTS this Friday (23rd). But there is a catch (pun intended) – although it’s a nice catch. 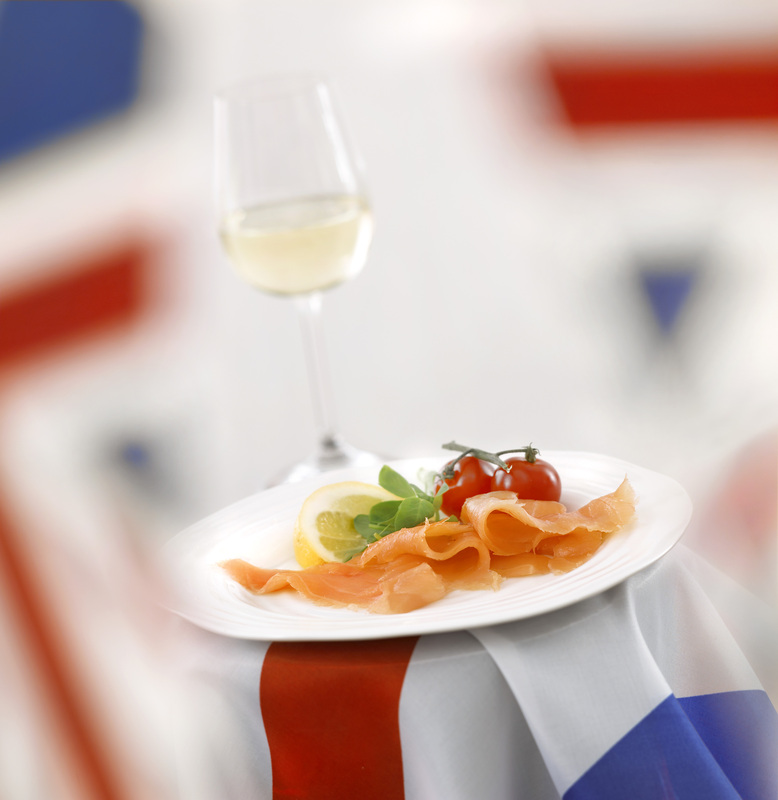 We would like to keep you updated with smoked salmon special offers, future competitions and recipes from John Ross Jr. In order for us to do that outside of Facebook and Instagram, we would need you to sign up to our newsletter on the homepage. It’s not essential, as anybody with the code will benefit from our Black Friday food offer, however, in return for signing up we will keep you updated with news, special offers and competitions. Thank you, from everyone at John Ross Jr – and happy shopping! This is DELICIOUS. And our fresh cod provides an extra delicate texture, too. marinade and marinate the cod. To do this, you need to bring the sake and Mirin to the boil on a high heat. Then, once the alcohol has evaporated, turn down the heat, add the miso paste and stir until the miso has dissolved. Add the sugar, stirring all the time, so that the sugar doesn’t burn. Once everything has been dissolved, remove from the heat and leave to cool. Once room temperature, you can cover the cod fillets in the marinade and leave in a sealed bowl. To cook preheat an oven to 190° Celsius. Grease a baking dish. Lightly fry the fillets in a pan on both sides for around three minutes each side. Then transfer the fillets to the baking dish and cook in the oven for five to ten minutes. Enjoy on its own or with wilted spinach. It’s National Sandwich Day on Saturday 3 November. 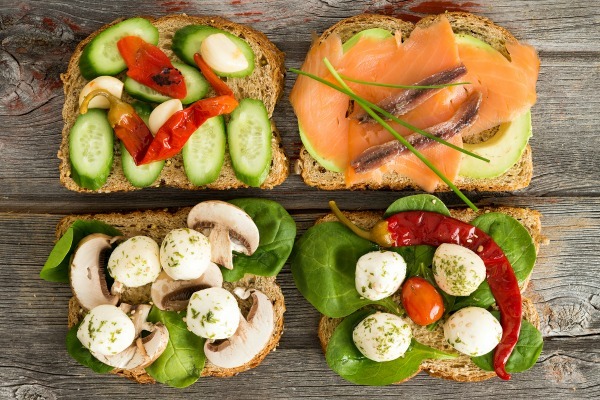 And if, like us, you love the traditional smoked salmon sandwich options (smoked salmon and cream cheese bagel; smoked salmon and cucumber sandwiches) but are looking to widen your smoked salmon sandwich repertoire, then you’ll love these three interesting smoked salmon sandwich ideas. Whilst National Sandwich Day was essentially created by a well known high street sandwich brand in order to sell more sandwiches, let’s take a little time to celebrate this much loved meal – but with a smoked salmon twist, of course. Grab a bowl and mix together the yogurt, cheese, salt and the dill until thoroughly blended. Then toast the bread. Layer the mixture on each slice, add a third of the lettuce on top and then, on top of that, add a third of the smoked salmon. If you like capers, add a sprinkle here, too, before adding one slice of tomato. Repeat the process and stack on top. Use the last piece of toast as the lid. Cut into triangles and enjoy. This bread-free option probably goes against the grain (no pun intended) and the spirit of National Sandwich Day, but it’s healthy and tasty – and not everyone loves bread. Peel the cucumber and lose the ends by cutting them off. Cut the cucumber in half – lengthways – and scoop out most of the cucumber’s inner flesh to make room for the filling. Mix the cheese, dill and onion in a bowl before spreading it on each side of the hollowed out cucumber. Lay as much smoked salmon as you can on one of the sides and then sandwich the smoked salmon in using the other half of the cucumber. This is without doubt the most interesting smoked salmon sandwich recipe we came across. And whilst we haven’t tried it, we couldn’t overlook a recipe that included the words ‘smoked salmon’ and ‘curried’ in the same sentence! Heat the oil in a pain, add the almonds and cook until golden. Coat the almonds in the curry powder and stir until well covered. Take off the heat and leave to cool. Once cool, stir in the yoghurt and season to taste. Spread the mixture over the bread, share the smoked salmon amongst the two sandwiches and top with the apple and radish. Serve when ready. 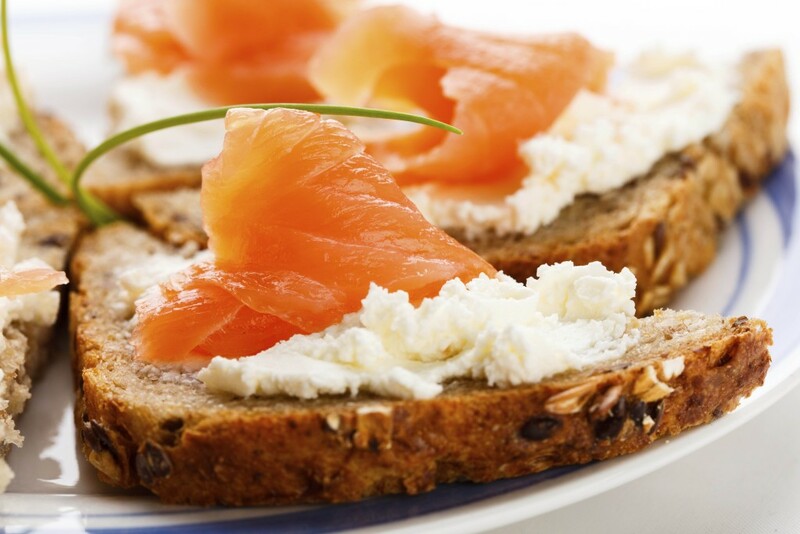 Do you have any interesting smoked salmon sandwich recipes you’d like to share with us? Share them via our or Facebook or Instagram pages and we’ll send you a 100g pack of our Scottish smoked salmon – for FREE. Halloween is upon us – but it doesn’t have to be all about pumpkins, chocolate and candy. 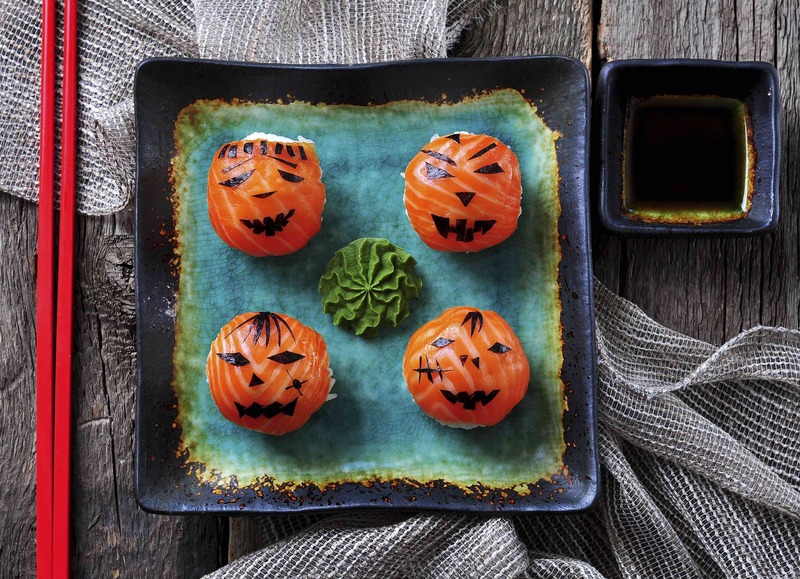 To help ensure that everyone benefits from this year’s celebrations (and not just those with a sweet tooth), we’ve pulled together our favourite fun Halloween recipes that are just as likely to impress your guests, as they are scare them! Yes, you have read it correctly. And regardless of how unappealing it sounds, this step-by-step video will not fail to get you thinking about the possibilities for ‘grown ups’ when it comes to Halloween party food ideas. The video, which is less than a minute long, can be viewed here. 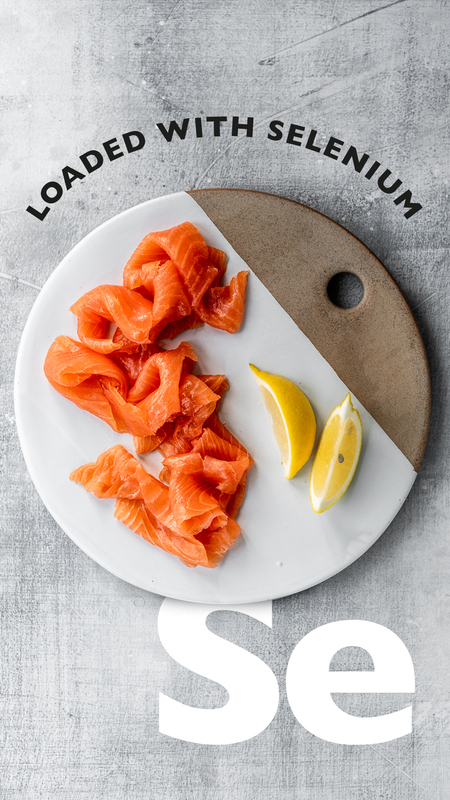 Whilst there’s no quantity given for the smoked salmon, we would recommend that you purchase a 200g pack of our Traditional Smoked Salmon just to be on the safe side (and assuming that you’ll only be preparing one!). This is another creative crowd pleaser that looks fantastic and offers a fun take on traditional sushi. Thanks to netmums for this one, however to make it easier for you we’ve listed the ingredients and the ‘how to’ information below. Wash and drain 125g of sushi rice with a sieve four times. When thoroughly rinsed, place in a pan, cover with water and boil for around 10 minutes, with the lid on, before turning off the heat and leaving to stand for 25 minutes – making sure that the lid is left on at all times. Mix the vinegar, salt and sugar and then mix this into the rice once cooled. Shape the rice into mini coffins and leave to set in the fridge. When ready to use, sprinkle a few spoonfuls of the seeds onto a plate of board and ‘dip’ the sides of the coffins into them. Take a piece of smoked salmon, around a mouthful in size or enough to cover the length of the coffin, and place on the top of the coffin. Repeat until all coffins are topped. Finally, cut the shape of the lid of the coffin out of the nori sheet and loosely place on top. Despite the fact that this recipe, which we stumbled across on Fish is the Dish, is SO easy to make, it’s so visually effective and a great party food snack. The concept is simple. For the broomsticks you use breadsticks, long batons of carrot and celery sticks. For the broom heads, you used flaked mackerel. For the breadsticks, snap them into the desired ‘broom’ length. Then cut the vegetable brooms to the same size. Flake the mackerel into pieces that are approximately a quarter of the length of the ‘brooms’. Take a plate, and place small dollops of mash at various points on the plate. These form the ‘glue’ for the broom heads so make sure they’re not too big or not too small in relation to the sticks. Gently push the broom handles into each of the mounds of mash and then shape in a triangular shape, similar to the end of a witch’s broom. Finally, take the smoked mackerel flakes and gently stick/lean them against the mash potato so that they resemble twigs. We love the smoked salmon sushi brain. So much so, in fact, then anybody who makes one and shares an image of it with via our or Facebook or Instagram pages will be sent a 200g pack of our Scottish smoked salmon – for FREE. It may sound like an unlikely day for the calendar (although not quite as unlikely as International Talk Like a Pirate Day), but Apple Day, on 21 October, has been an annual celebration since 1990. Launched to raise awareness of the apple and celebrate diversity of landscape and ecology, it has since become associated with raising awareness in the provenance and traceability of food – something that everyone at John Ross Jr is very supportive of. So, we thought we’d lend our support in not only making our readers aware of Apple Day, but also place the apple in the spotlight by selecting two of our favourite apple and smoked salmon recipes. This super salad is super tasty – and super healthy! Grab a large bowl and mix together the apple, fennel, celery carrot and smoked salmon. In a sealed jar, add the olive oil, lemon juice, lemon peel, sugar and salt. Close and tighten the lid before shaking. Once combined, drizzle over the salad mixture and, just before serving, throw in the capers. This delicious potted smoked salmon recipe (which originates from Delicious magazine) is a really wholesome and richly flavoured dish, which brings out the best in flavours from both the hot smoked salmon and apple. Combine the salmon, lemon juice and zest, the ground coriander, pepper, dill and fresh coriander in a large bowl. Grab six ramekins, or similar, and divide the mixture among them, making sure to pack the mixture into each pot. Pour over the melted butter and chill until the butter is solid once more. For the pickle, mix the vinegar, sugar and lemon juice in a separate bowl before adding the onion, apple and salt. Leave for around 15 – 30 minutes before squeezing out the liquid and serving with the six dishes and a slice of toasted sourdough bread. For healthy smoked salmon recipes and regular updates and offers from John Ross Jr, find us on Facebook or follow us on Instagram. Can you bake smoked salmon? 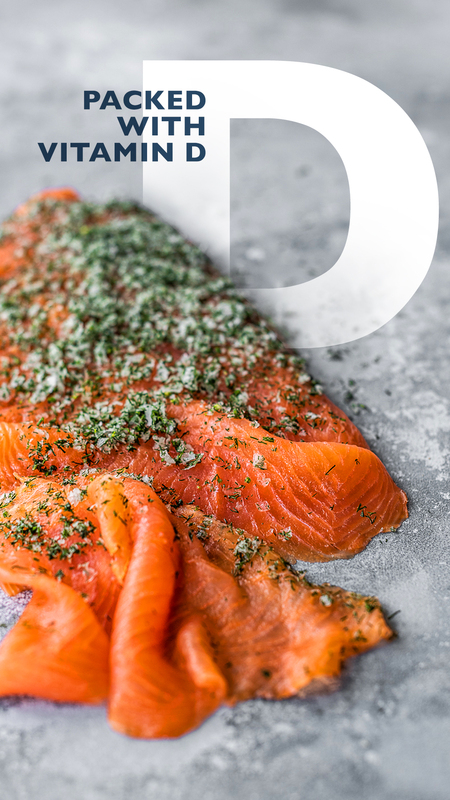 The answer is ‘yes’, so to celebrate National Baking Week (15 – 21 October), we’re providing you with a selection of delicious baked smoked salmon recipes and offering a few culinary ideas that are guaranteed to impress. Keep reading to find out more about our National Baking Week giveaway. This baked smoked salmon recipe is simply delicious – and incredibly quick and easy to make. Preheat your oven to 180°C. As it’s heating, cut the smoked salmon into small squares and grate the cheese. In a bowl, whisk the egg and crème fraiche before slowly combining the flour, salt and pepper. When blended, add the smoked salmon and cheese. When everything has been thoroughly combined, share the mixture into six muffin moulds and bake for 10 – 15 minutes. When ready, take out of the oven, place on a wire rack and leave to cool before eating. We’d recommend that you eat these slightly warm. Another baked smoked salmon recipe winner – and a savoury dish that’s perfect for snacks. Cakes don’t have to be all about the sugar, after all. Grab a large bowl and whisk the eggs before adding the oil and milk. Whisk until thoroughly combined and then add the flour, baking powder and a pinch of salt and pepper (optional). Whisk until you have a smooth mixture and then add the smoked salmon, cheese and dill. Whisk once more until fully combined. Take a loaf pan, line it with butter and then pour in the mixture before baking for 40 minutes. This one, which we’ve learned from Jamie Oliver, is less about baking in the smoked salmon and more about creating a delicious bread that can go with any type of smoked salmon topping – and be eaten with as much of it as you like! It’s also really healthy and filling, too. Mix both flours, the oats, the bicarbonate of soda and one level teaspoon of salt in a bowl. In a separate bowl, whisk the egg and yoghurt before stirring it into the bowl of flour and oats. Bring the mixture together using your lightly floured hands. When combined, shape into a ball, place on a floured baking tray and press down so that it becomes a 3cm thick disc. Score a cross into the top and then bake in the centre of the oven for around 40 minutes. When a crust has formed place on a wire rack to cool. Share your favourite baked recipe – preferably one that features smoked salmon – via Facebook or Instagram by midday on 19 October. The person to share our favourite recipe will win* a 454g pack of John Ross Jr’s Traditional Smoked Salmon. October is typically associated with the clocks going back and Halloween, but it’s also National Cholesterol month. Unlike smoked salmon, where the ‘too much of a good thing’ rule doesn’t apply, cholesterol is a bit different. Whilst even the very mention of the word can send shivers down people’s spines, it’s important to remember that the body needs cholesterol. But have too much of it and you run the risk of creating layers of fatty plaque that fur up the arteries. If the layer becomes too thick, it can slow down blood supply – or even stop it completely. So, when it comes to diet, what can you do to help reduce cholesterol levels? 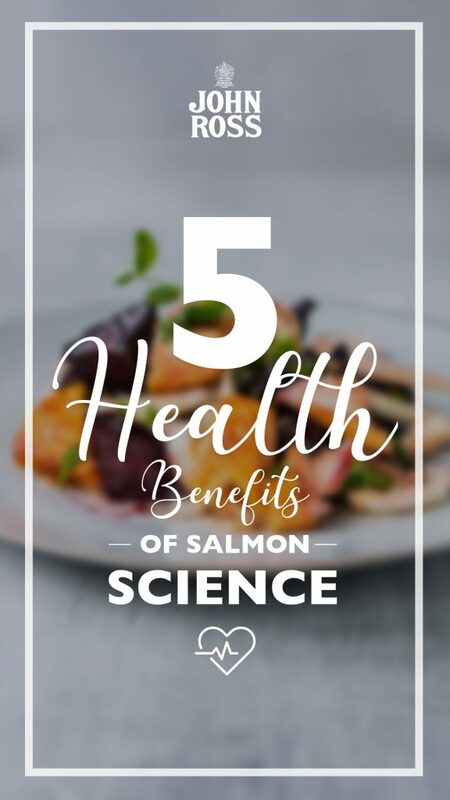 Rich in omega-3 fatty acids, which help to reduce blood pressure, smoked salmon – fresh salmon in particular – can boost levels of ‘good’ HDL cholesterol. Whilst it doesn’t lower ‘bad’ LDL cholesterol, increasing your intake of HDL cholesterol helps to remove cholesterol from your artery walls. What’s even better is that there are countless healthy salmon recipes to keep you fit without compromising on flavour. Aim for two portions of fish each week and don’t forget smoked mackerel, which is also an excellent and healthy alternative. To buy smoked salmon click here. To buy fresh salmon, click here. With its ability to lower the inflammatory impact of LDL cholesterol, olive oil is not only a healthy addition to the diet, but also a tasty one, too. Extra virgin olive oil is the healthiest and tastiest – however, it becomes less healthy when used to cook at high temperatures so either cook on a low heat, or eat it at room temperature. Whether you like oatmeal, bran or cereals at the beginning of a day (after all, you can’t eat smoked salmon for breakfast every day), there’s no denying the power of the wholegrain in giving your HDL levels a welcome boost. Equally, if you like to eat brown rice or wild rice in the evening, wholegrains are a great cholesterol-busting food. Whilst high in calories, nuts are filled with healthy fats and are high in fibre. Remarkably, as they contain plant sterols, they actually block the absorption of cholesterol in your body. Throw them in salads or include them with breakfast meals. This popular healthy fruit also happens to be a food that goes well with smoked salmon. High in monounsaturated fat, avocados reduce risk of heart attack, heart disease and stroke. Not only that but they taste SO good. For healthy smoked salmon recipes that help to reduce cholesterol, take a look at the John Ross Jr blog archive, find us on Facebook or follow us on Instagram. 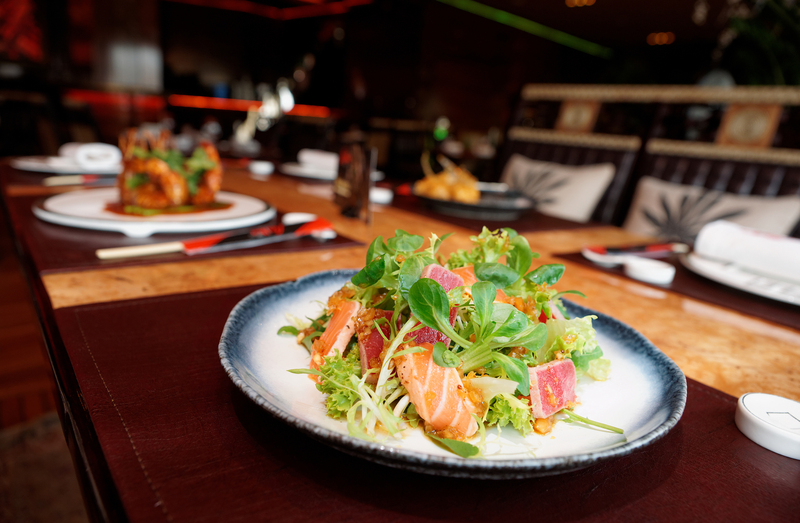 As if one major British event wasn’t enough (and by that we’re referring to last week’s Royal Wedding), we’ve found ourselves right at the beginning of another – although this one has more of a culinary theme to it and certainly lends itself more to smoked salmon. Yes, it is British Sandwich Week 2018 from 20 – 26 May – a week-long celebration of one of the most popular and accessible meals to go and, as the organisers will proudly state, what is quite possibly the most iconic British culinary invention. It goes without saying that there’s nothing quite like the classic smoked salmon sandwich – and you can find three delicious smoked salmon sandwich recipes here. However, to make perfect smoked salmon sandwich you need to have the best smoked salmon – and although we’re obviously a little biased, this is where we feel we can help. As our way of getting behind this year’s British Sandwich Week, we’re giving away enough smoked salmon for someone to make smoked salmon sandwiches for an entire week – a 454g pack of our Traditional Smoked Salmon. Why is the sandwich called a sandwich? All answers will need to be posted on Facebook by 12pm on 26 May and the winner will be notified by the end of that day. For more information on British Sandwich Week 2018 visit http://www.britishsandwichweek.com and good luck to those who enter the competition. It’s almost that time when the streets go eerily quiet as millions of people retreat to their living rooms to watch what is likely to be the most watched televised event of the year. For those who don’t know (and there really can’t be that many), Prince Harry and Meghan Markle will be married in only a matter of days following a ceremony that is due to take place at St George’s Chapel, in Windsor, on 19 May. And, in keeping with our desire to commemorate such events with a respectful launch of a limited edition product, we’ve created the Original Rum Cured Smoked Salmon, which draws on a 160-year old recipe using rum and sugar cane to create a unique and distinct flavour. You may remember that we launched this product in 2013 as part of the Coronation Festival – a celebration of the 60th anniversary of the Queen’s Coronation. 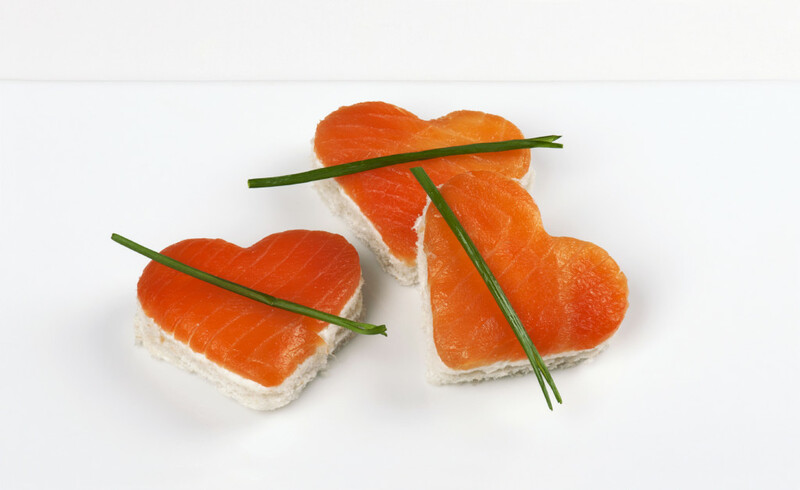 Now, five years later, we’ve refined our recipe and believe that we have now created the perfect Scottish smoked salmon product. If you’re looking to buy smoked salmon for your own Royal Wedding Celebration, then you can buy our latest product for one month only – either here on our own website or, if you live in London and the South East of England, up to 90 Waitrose stores. Follow us on Instagram at @johnrossjrsmokedsalmon. We’ll be announcing the five winners by the end of the week.